Intermediate results for the Golden Years #184 have been posted. Sadly, as much as I want to finish it, I wont be able to. Work has been insane and I wont have time to finish recoloring things and taking photos till Saturday. Bravo to everyone who made it! Ok guys, we're feeling the Christmas spirit (and the extremely tight budget) so we're gonna boost the budget on this one to 75k. Think you guys can finish your masterpieces in the next few days or do you need a few more? Advanced results for #181 Uptown Elegance are now up! Intermediate results for 178 are now posted! Intermediate results for 177 are now up. 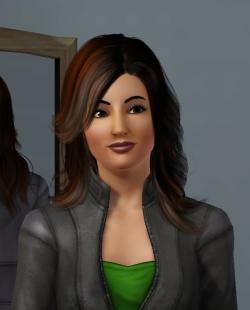 Have you tried looking in carls sims3 guide? Thats my go to for plum questions and how tos. If that makes you happy, full steam ahead! just remember we wont be awarding bonus points for it but i know i had a great time doing that ages ago. So far guys, its looking like you saved Build N Share for Sims 3. We're going to take a look at your wants and desires for challenges and will try to work with them. These are supposed to be a challenge dear. THe study is a different room entirely. Here's a question for our builders: What kind of builds do you prefer? What would you like to see? What do you skip and what do you always make it a point to enter? Welcome FLST. On the front page after the challenge description, you'll find the entry form. Just fill that out, post it here and you'll be set to go. Its nice to meet you too @pammiechick.